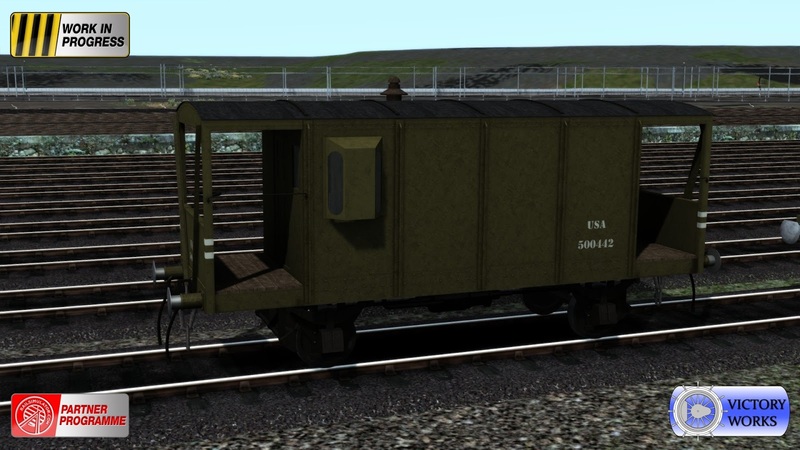 It's time for an Easter Sale! Everything from Victory Works is included at a great 50% off so grab yourself a bargain or two.. or three.. or four! It's Friday! 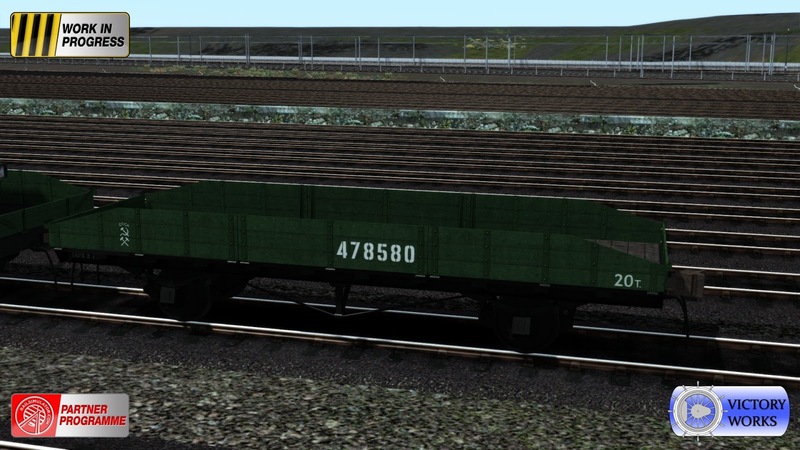 And that must mean it's time for more rolling stock. 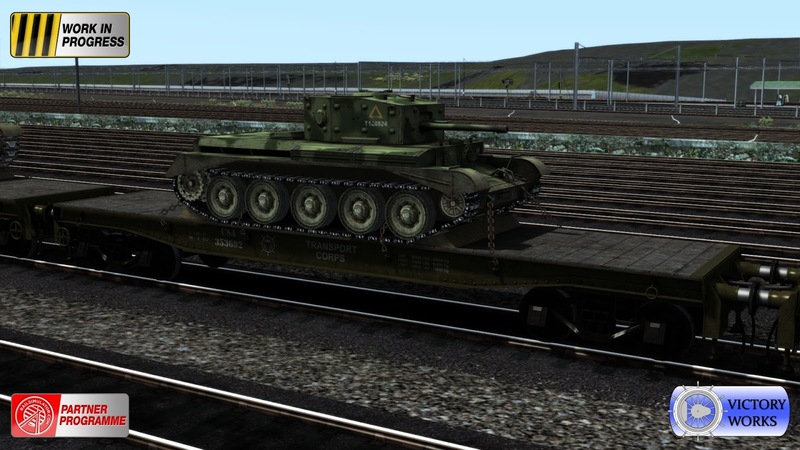 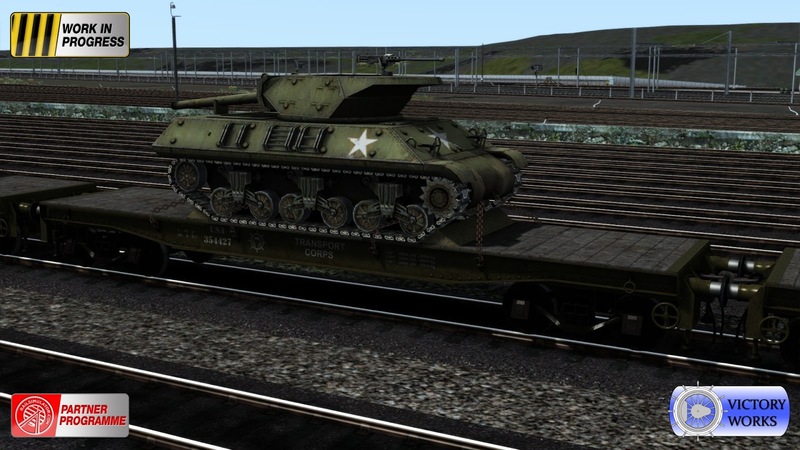 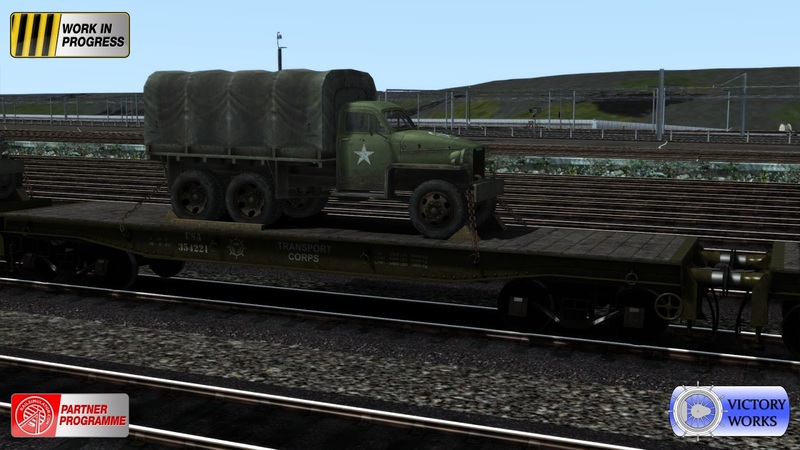 This time we focus on the USATC 56 ton Flat Car. Produced in huge numbers these were shipped all over the world for use by allied nations and were primarily used to carry vehicles, both soft skinned and armoured. 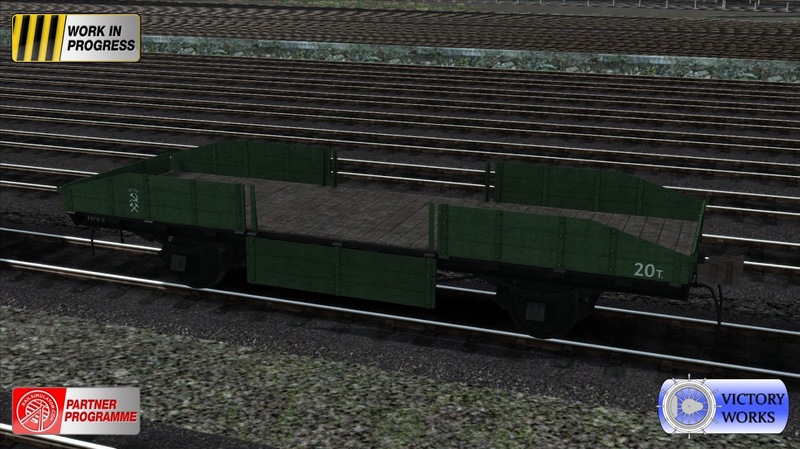 This is the empty version, available in all 4 styles of coupling and brake types, and with animated handbrakes. 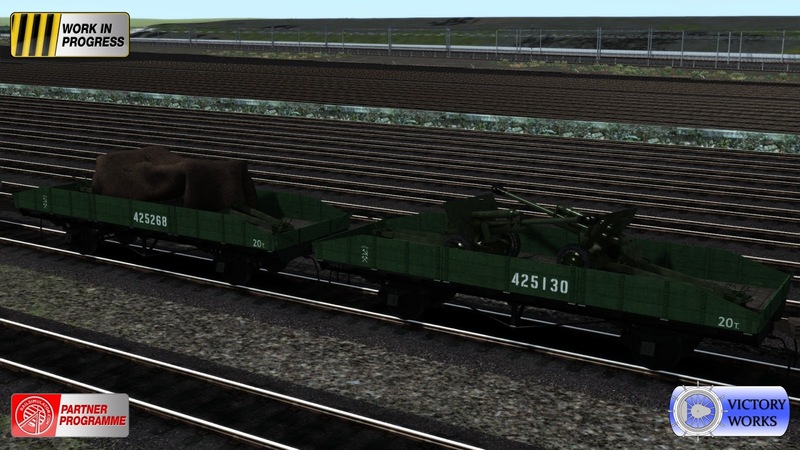 Then we needed to add some appropriate loads to it. 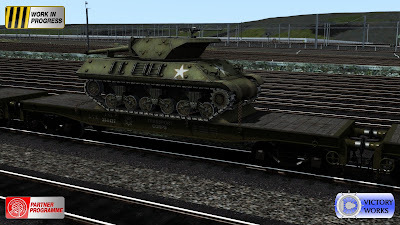 We were very impressed last week when I showed a very blurry image of the flat with an armoured vehicle on it and within 2 minutes somebody had correctly called it: an M10 Wolverine Tank Destroyer. 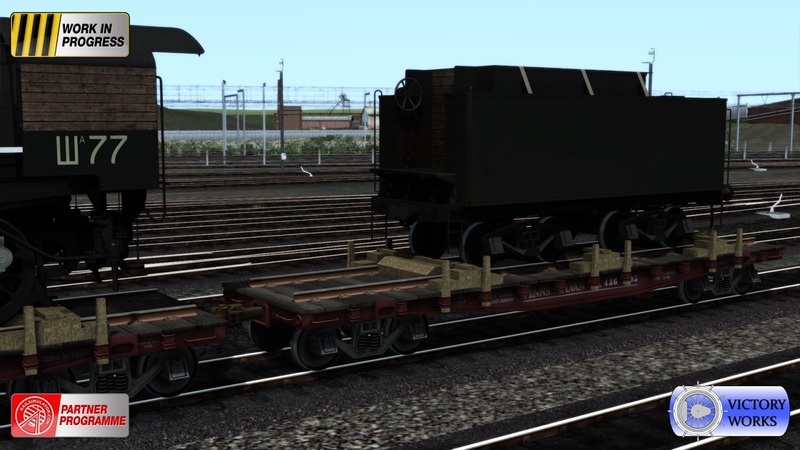 So we'll start with that one! 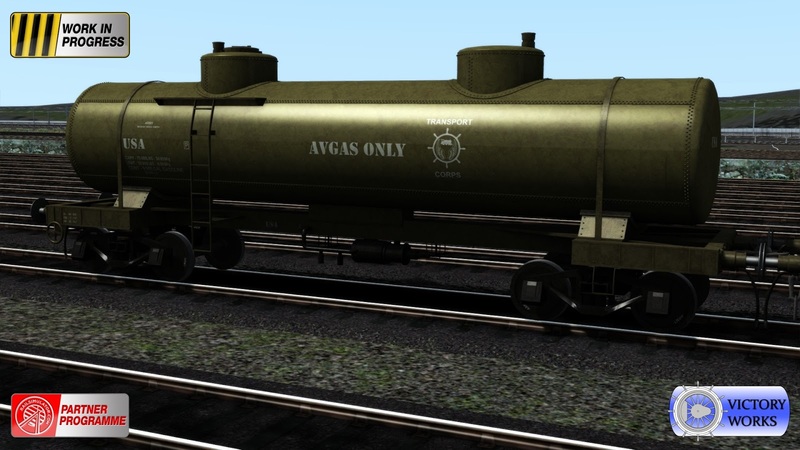 Available in Buckeye/Air, Hook/Air and Hook/Vacuum versions. 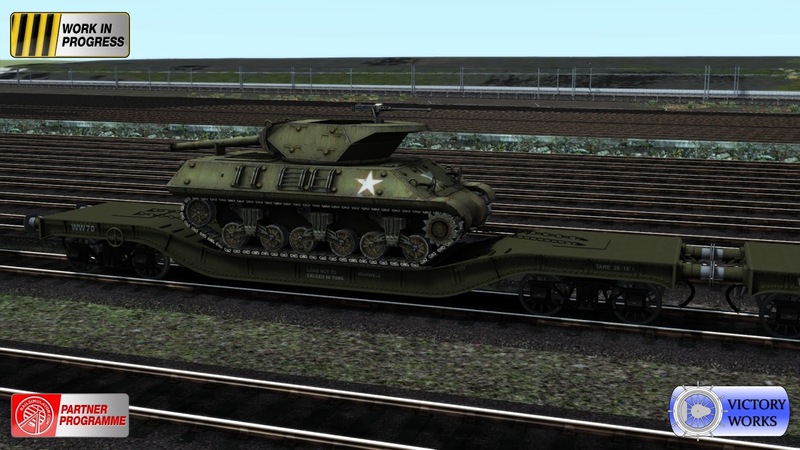 The M10 is modelled with the turret facing the rear and the gun resting on it's travelling mount. Next we move on to a British tank, the return of our old friend the Cromwell. A completely new model and texturing, again shown here on the USATC 56 ton flat and available in Hook/Air and Hook/Vacuum versions. Although not available in anywhere close to the numbers that the M10 and Cromwell were at this point in the war we really wanted to provide a French tank to go alongside the 140U version of the S160. 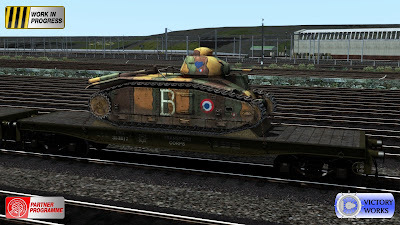 A small number of Char B1 tanks were still being used by the Free French Forces in 1945 and so this tank is available on the 56 ton flat with Hook/Air fittings. 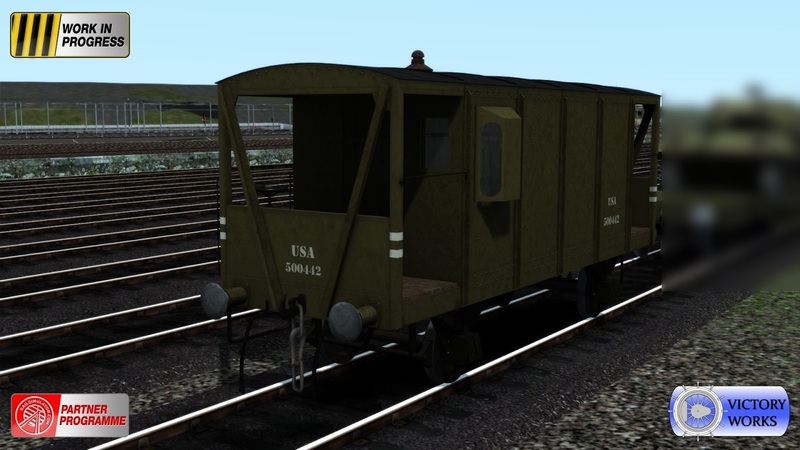 Finally for today on the 56 ton flat we have a vehicle produced in the hundreds of thousands which saw use all over the European theatre, the US6 truck. 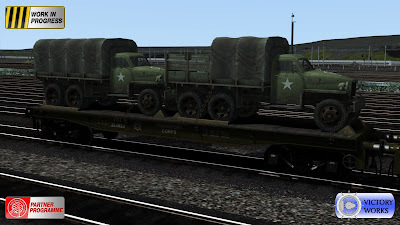 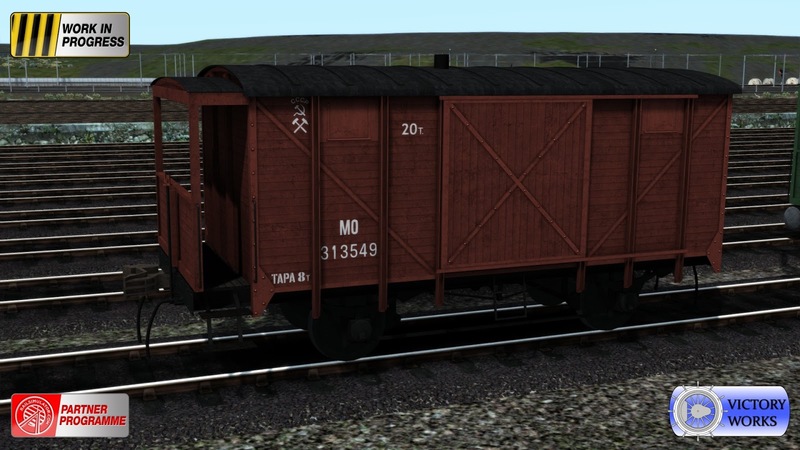 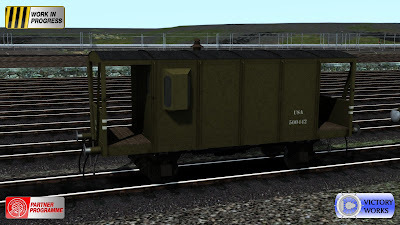 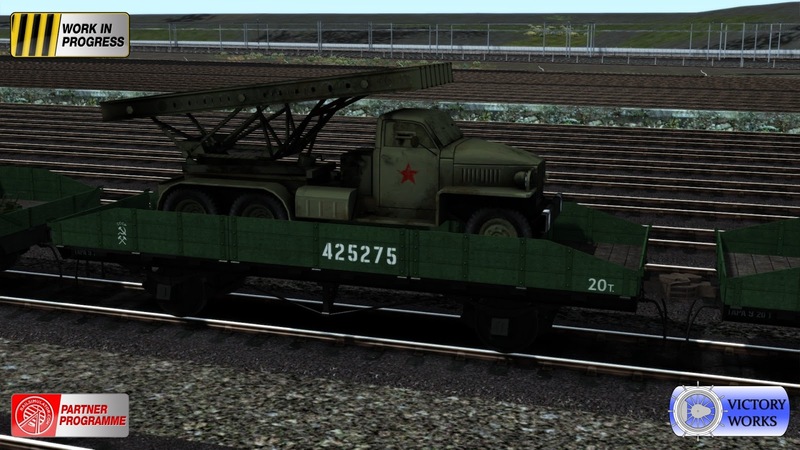 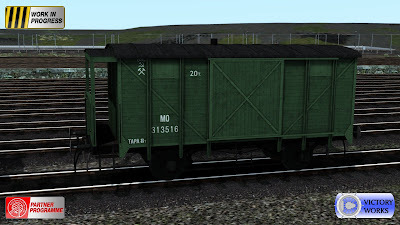 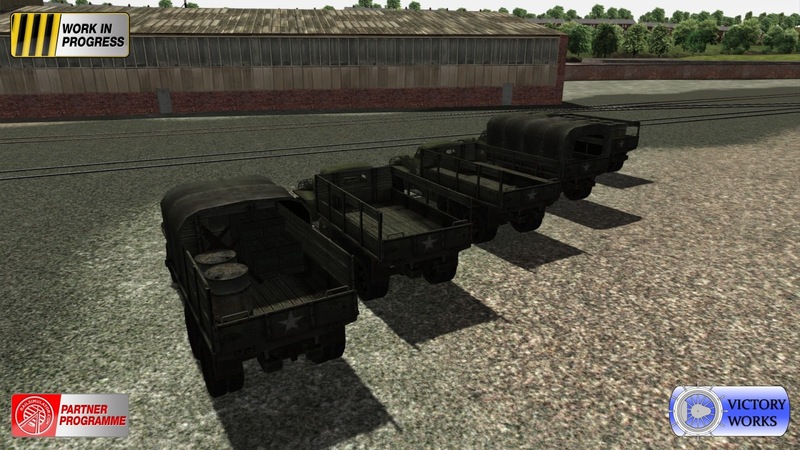 Fitted for all 4 coupling and brake types (under lend lease agreement these trucks were shipped in large quantities to the USSR as well), and also in versions loaded singly or in pairs onto the 56 ton flat. 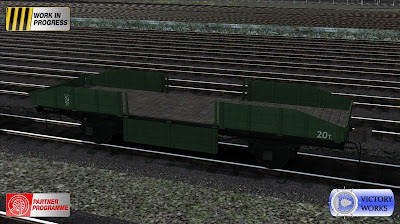 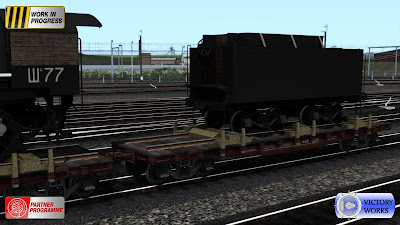 There are 5 versions of the truck and when the flat car is placed a random selection will be provided to give a great mix of stock on long consists. All of the armour and trucks shown are also available as static items (without blocks and chains), valid for use in scenarios, so they can be used as scenery in your own creations. 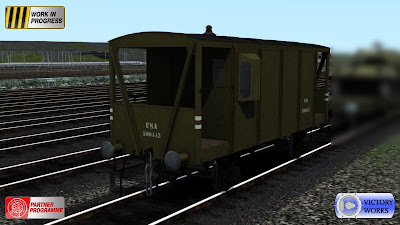 Finally for today we have another old friend returning, the British Warwell. 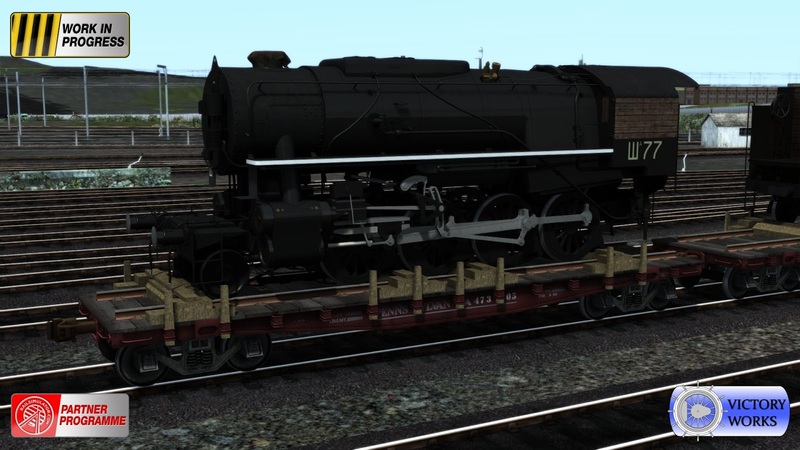 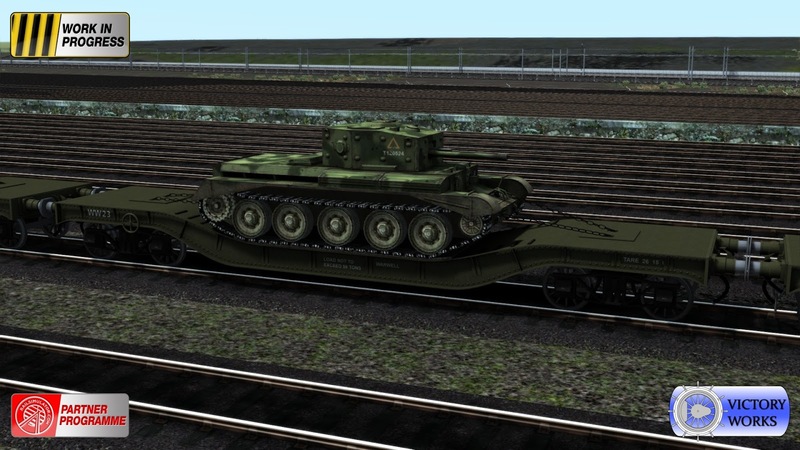 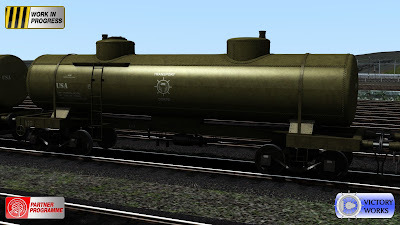 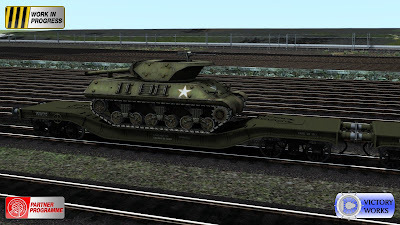 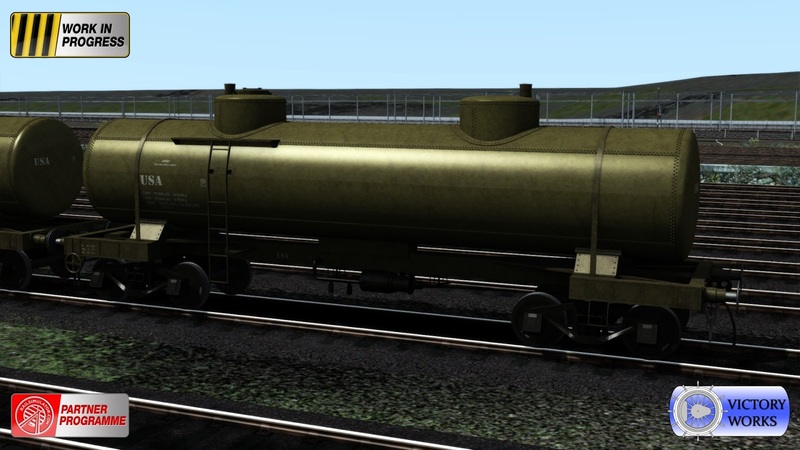 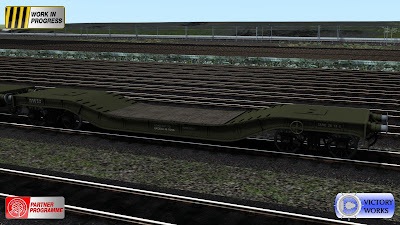 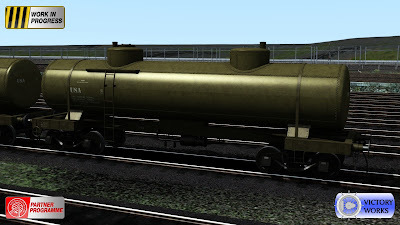 Originally provided with the Bulleid Q1 Add-on we wanted to give it a re-texturing and of course to make use of the new armour models, specifically those that would have been transported in Britain. 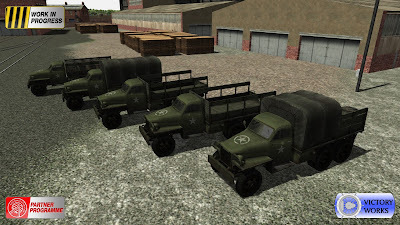 You may have noticed a distinct lack of Soviet equipment in today's blog post. 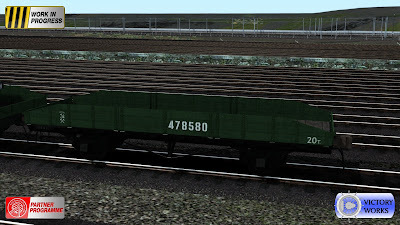 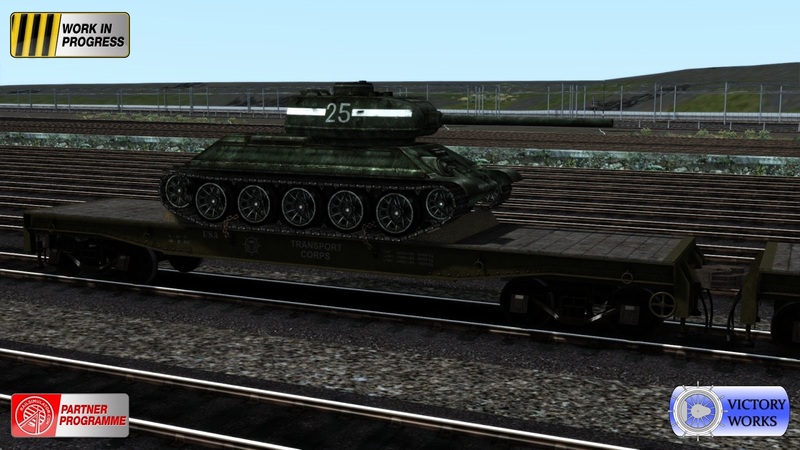 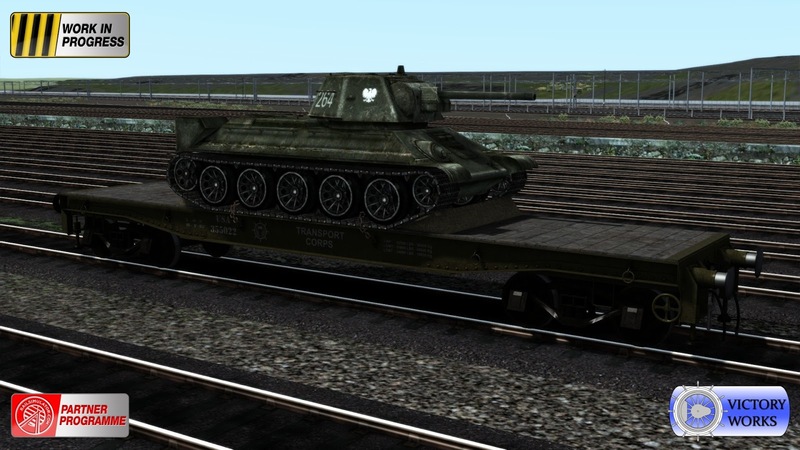 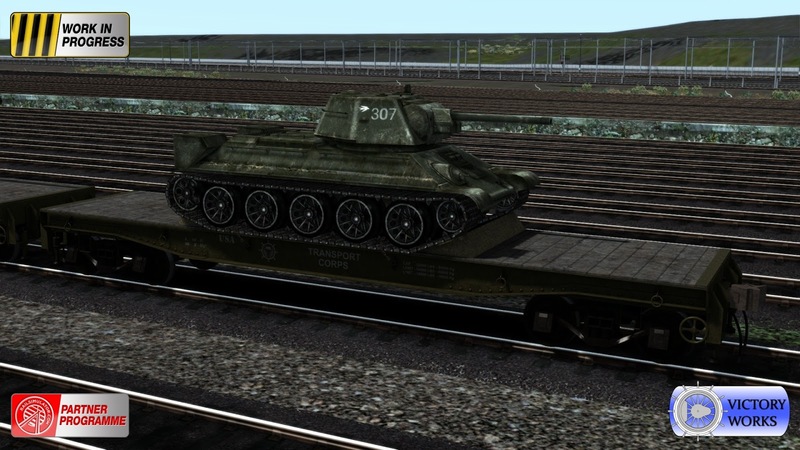 That is because we will be showing all of the USSR equipment next week in the final rolling stock post. 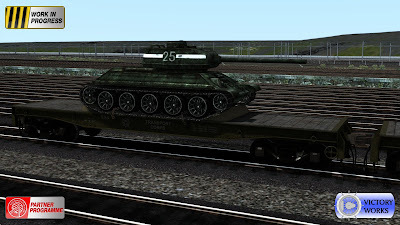 Some of it is very famous Soviet armour using the 56 ton flats we've looked at today. 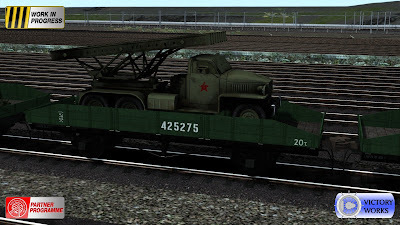 The rest is very specific to the USSR and we wanted to show it all together. 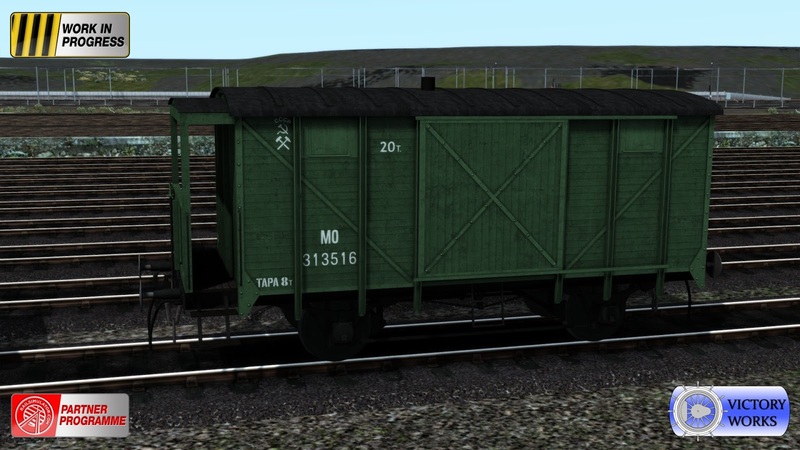 We've had a lot of people asking us when the S160 will be released. 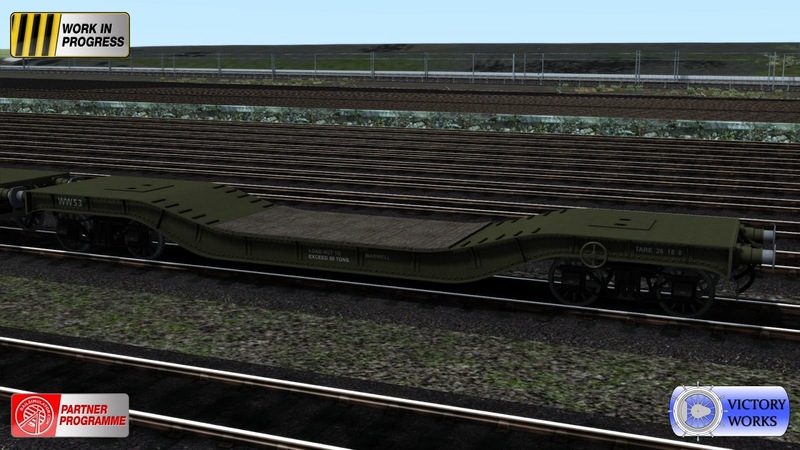 We can't give a time as yet but we are pleased to say that it will be going into testing very soon.